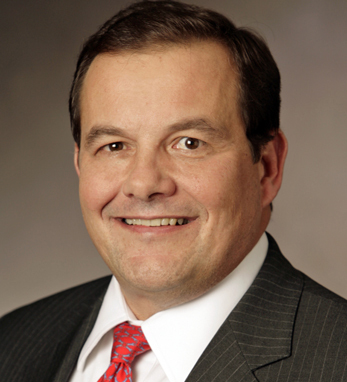 William J. O’Mara is a senior audit partner with KPMG. His over 30 years of experience include SEC reporting; mergers, acquisitions and divestures; reorganizations and restructuring; and other technical and reporting matters. Bill completed two rotations in KPMG’s national office Department of Professional Practice: once as a senior manager and later as a partner. He is a member of the Board of Directors of KPMG LLP and KPMG Americas. Bill earned a B.S. in business administration from Monmouth University. He is a licensed CPA in New York, New Jersey and CT, and is a member of the AICPA. He was the director of Corporate Audit for a Fortune 100 multinational industrial company, and the Senior VP of Acquisitions and CFO for a large international finance company. Bill is a fourth-generation Irish American, with roots in Tipperary on his father’s side. He says his Irish heritage means, “Being part of a proud people of faith, courage, and humility.” He and his wife, Linda, have three grown children and live in New Jersey.